The West Hartford BC was the sixth club on my list. It is a relatively new club, only 4-5 years and originally designed for new players, they started with 0-20 masterpoint limits! 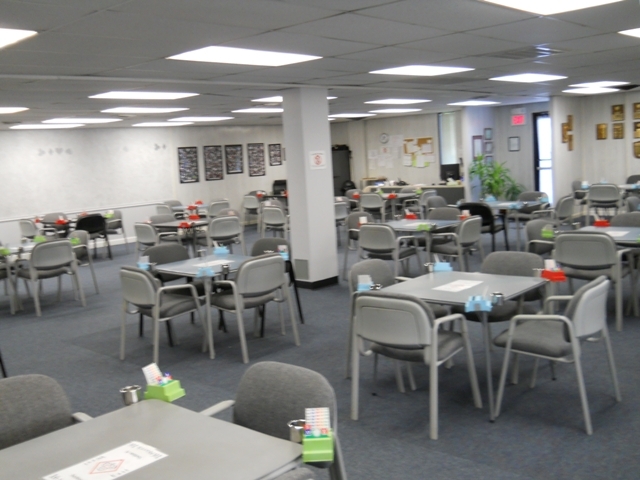 Over time the club has grown and the masterpoint limits have also grown to 1500. They had a nice game of 10 1/2 tables with plenty of food. The players were very friendly. Selma Moffie was my partner, and we cruised to a 3rd place finish. 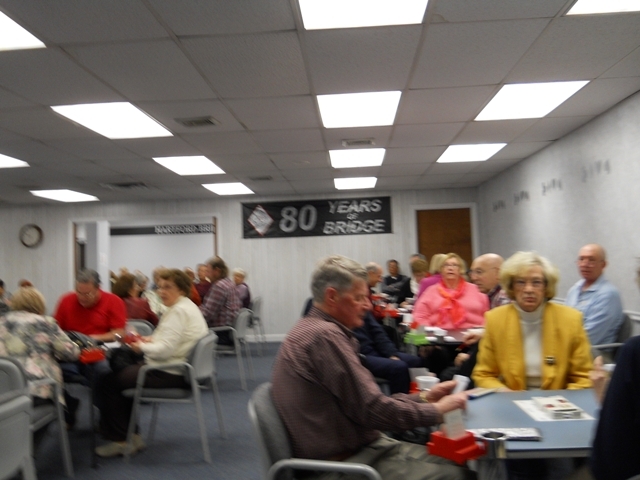 I wrapped up the New England segment of the trip by visiting the oldest (80 years) bridge club in the ACBL, the Hartford Bridge Club. Some members of the club members took me out to dinner last night before I visited the club. This is a members club, and members take pride in their club. These members are no exception and show great pride in the club they are a part of. Hartford BC has hand records and a great website to go along with their excellent facility and good directors. They do have one interesting policy – they guarantee a partner. They do that by requiring their 500+ members to volunteer about once a year to be a standby. The member is rewarded with a free play and a second free play if they have to send him/her home. I played with Bill Watson, the club President, and had a very enjoyable game. All in all, the trip to New England was a great week. Thanks to all the clubs I visited and all the people I met!